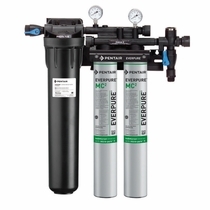 For over 80 years, Everpure/Pentair has been making world-class restaurant and food service water filtration systems you can trust. 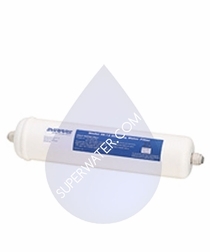 If you're in the restaurant industry, you know very well that water is simply the most important ingredient. 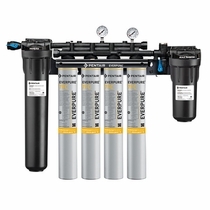 From your beverages to your baked goods, water is in everything. 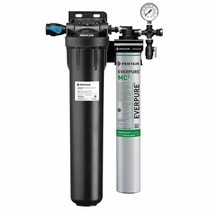 Everpure Food Service water filters keep your customers and employees safe and happy with food service grade filtration that reduces harmful pathogens, particles and contaminates in everything you serve. 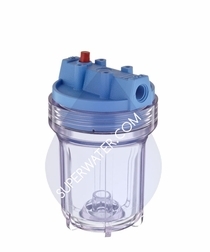 Superwater offers Everpure ice maker filters, fountain beverage filters, coffee water filters and more for all commercial and food service applications. 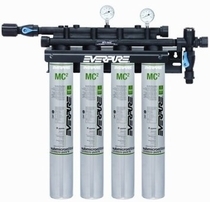 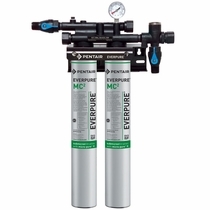 These high-performance Pentair Everpure filters feature Everpure's cutting-edge Micro-Pure technology that offers superior contaminant reduction down to a half-micron in size plus sensible antimicrobial constructions to inhibit and prevent any bacterial growth within the system. 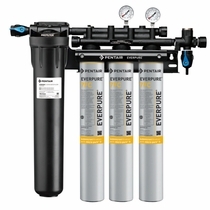 The Everpure Food Service Line is essential for any size business that wants pure, fresh water on demand with equipment that's designed to last. 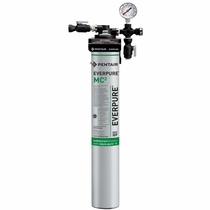 Everpure restaurant water filters are quite amazing in that they also make beverages and food taste better while preventing costly and time-consuming clogging, corrosion and abrasive wear on your restaurant equipment. 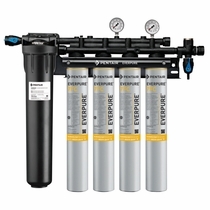 Whether you want the best fountain beverage filtration system or need an affordable filtered water drinking fountain system, Everpure is the best choice. 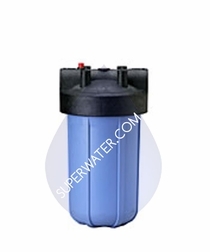 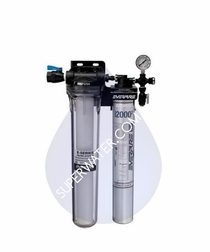 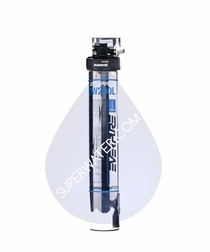 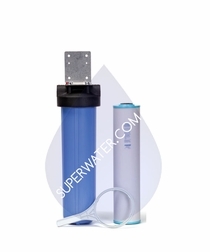 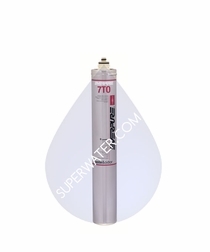 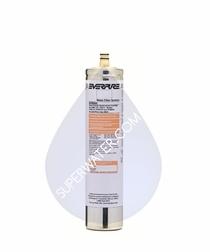 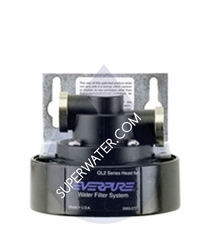 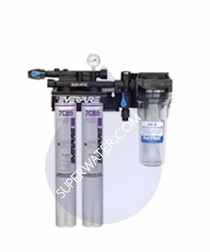 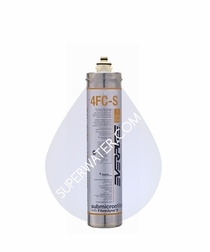 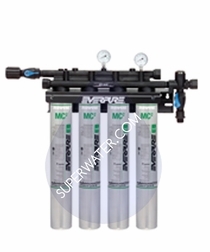 Smart businesses buy commercial water filters from Superwater because we're an authorized Everpure dealer with nearly 20 years of experience with the products. 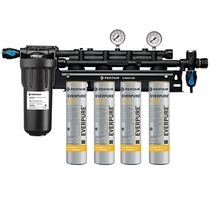 Plus, we offer free ground shipping on orders over $200 and have a generous return policy to ensure that you get exactly what you're looking for without the hassle or commitment. 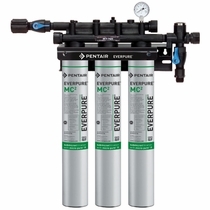 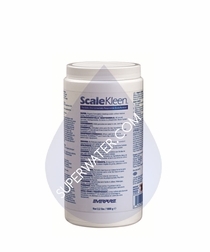 All Everpure products from Superwater are 100 percent guaranteed to be genuine Everpure Pentek Pentair products listed as shown.